In terms of an overall assessment of the progress of the action, we can state that the action has achieved most of the goals planned for the third year, regarding research, training and networking activities. The consortium has achieved relevant scientific contributions, created new collaborations and enhanced existing ones, and proposed and implemented well attended training and networking activities. In addition, the number of secondments and the number of researcher-months completed is in line with the rescheduled secondment plan, completing almost the 60% of the researcher-months planned for the last two years of the project. 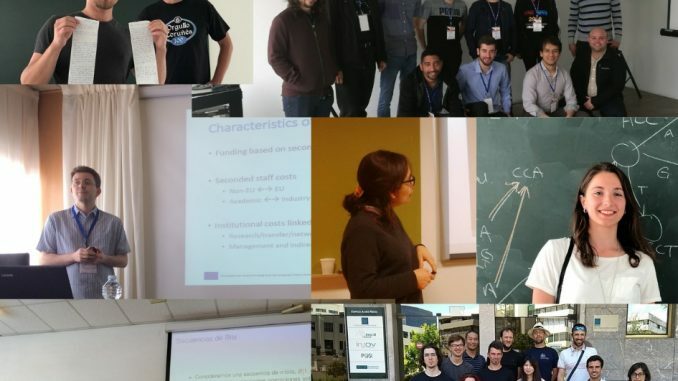 The scientific tasks progressed as planned, thanks to the work done during the secondments and also to the research generated during the training and networking events. It obtained the recognition of the research community, not only because the results were published in top quality international journals and conferences, but also winning some awards, such as the Capocelli Prize obtained by Adrián Gómez-Brandón. Again, it is remarkable the large number of publications generated during these collaborations, taking into account that this list of publications does not include other research articles or papers published by members of the consortium but not directly related with BIRDS funding (as they were not generated during a secondment or a BIRDS event), even if those articles are related with the progress of the action and contributed to the development of the field. There were many other publications generated by members of the institutions within the institution, or even by join-work among the partners, in line with the project but not included in this list. Morever, some BIRDS members, such as Travis Gagie (former coordinator at UH) and Gonzalo Navarro (UCHILE) have obtained important results for indexing highly repetitive texts, such as genomic databases, software repositories and versioned text collections (SODA 2018), research line within the Research Task 2. We expect that these results have a great impact on current bioinformatic software, such as the read aligner Bowtie, being able to build indexes over large genomic databases efficiently. In addition, during this third year of the project the consortium made bigger efforts to better disseminate and communicate the goals and results of the project. More activities and actions will be planned for the next, and last, year of the project.